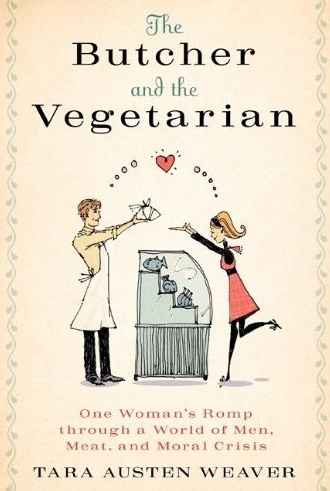 Growing up in a family that kept jars of bean sprouts on its windowsill before such things were desirable or hip, Tara Austen Weaver never thought she'd stray from vegetarianism. But as an adult, she found herself in poor health, and, having tried cures of every kind, a doctor finally ordered her to eat meat. Warily, she ventured into the butcher shop, and as the man behind the counter wrapped up her first-ever chicken, she found herself charmed. Eventually, he dared her to cook her way through his meat counter. As Weaver navigates through this new world — grass-fed beef vs. grain-fed beef; finding chickens that are truly free-range — she's tempted to give up and go back to eating tempeh. The more she learns about meat and how it's produced, and the effects eating it has on the human body and the planet, the less she feels she knows. She embarks upon a sometimes hilarious, sometimes frightening whirlwind tour that takes her from slaughterhouse to chef's table, from urban farm to the hearthside of cow wranglers. Along the way, she meets an unforgettable cast of characters who all seem to take a vested interest in whether she opts for turnips or T-bones. The Butcher and the Vegetarian is the rollicking and relevant story of one woman's quest to reconcile a nontraditional upbringing with carnal desires.